Do you remember the last time you got to take a walk around your neighbourhood? Maybe you’re the avid walker who has rambled the many paths and trails the Mission has to offer. Maybe you’re more casual, sticking closer to home on familiar side streets. Or maybe walking is simply a form of transport from point A to point B. But any resident of the Mission will tell you that this sprawling and colourful Kelowna neighbourhood is too large to be encompassed in a single walk. Within these pages are five immersive, guided audio walks, each a natural location that defines the Lower Mission neighbourhood. Following a non-linear narrative with photos and writing prompts you will begin to uncover the more-than-human members of your natural community. They are the oldest residents on the block which you may never have realized were your favourite neighbours. We invite you to discover that spark of curiosity about paths you have yet to tread. Enjoy. 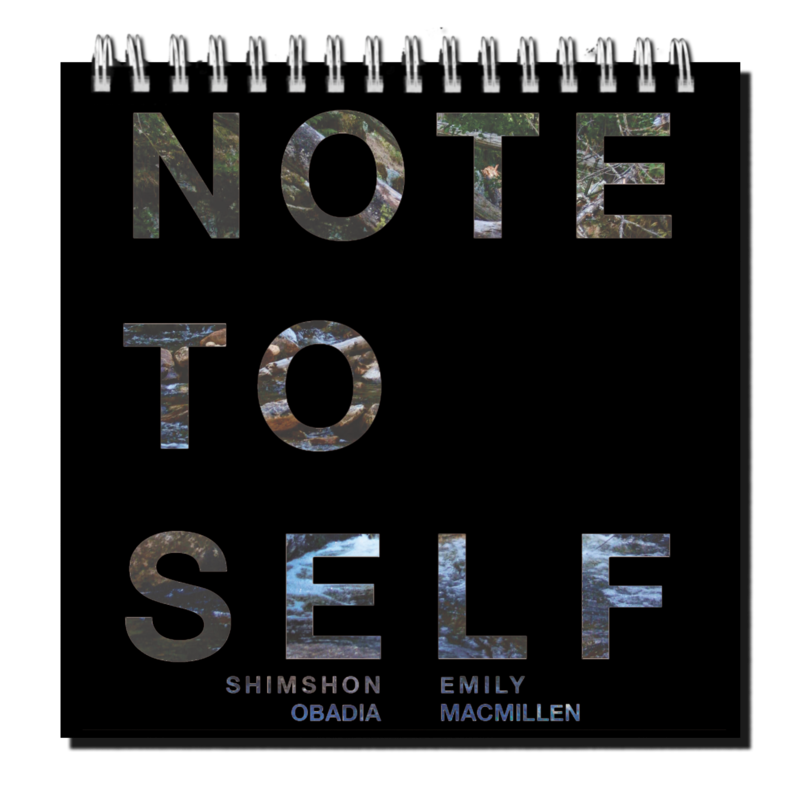 NOTE TO SELF was created by Emily MacMillen & Shimshon Obadia (© 2015). This is one of five immersive, guided audio walks. Each based in a natural location that defines the Lower Mission neighbourhood. Following a non-linear narrative with photos and writing prompts in the book, you will begin to uncover the more-than-human members of your natural community, the oldest residents on the block which you may never have realized were your favourite neighbours. NOTE TO SELF is part of the Dig Your Neighbourhood: Mission project; a project with a goal to connect people to their place of residence and to help create local culture through community-specific works of art, created by university students and professional local artists, distributed to new residents of a neighbourhood through the Eco Art Incubator and the Welcome Wagon LTD.
*Shipping rates are within Canada only, for international shipping, please click here to request a quote.